Welcome to the premiere episode of Personalities and Profiles bringing you interviews with dynamic individuals as they share stories of their successes and failures and experiences learned. 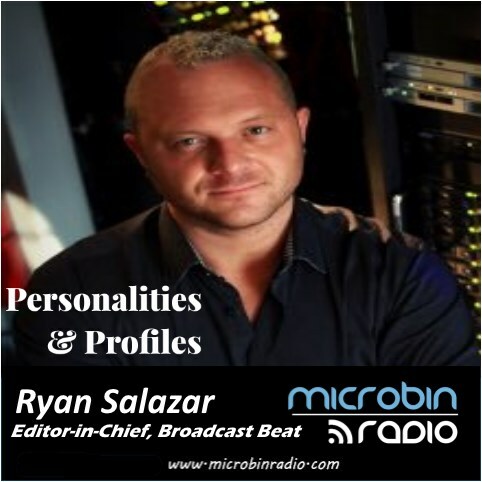 Michael Robinson sits down with Ryan Salazar, Founder and Editor-in-Chief of Broadcast Beat Magazine. Broadcast Beat Magazine is a digital and print publication that brings breaking news to the technical people in the broadcasting industry. Ryan talks about what lead him to start the company, his experiences in the industry and where he sees it going and even shares some hip South Florida spots!